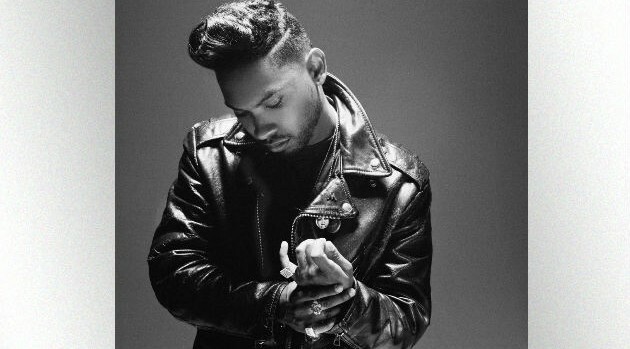 Photo Credit: Timothy Saccenti/RCA RecordsMiguel has always been adamant about not wanting to label his music. Whle promoting his upcoming album, Wildheart, the singer explains that his mixed ethnicity — part African American and part Mexican — plays into his unwillingness to conform to just one genre. He also explains how his new album differs from 2012’s Kaleidoscope Dream. “This time it was like I finally want to have an identity as a taste-maker, as someone who’s ahead of the curve, someone who’s intellectual, someone who’s striving to push the boundaries, someone who’s ever-growing and evolving, someone who’s open-minded,” he says. Wildheart is slated to arrive June 30.